The first electric cars were slow, ugly, and generally uninspiring machines, but thanks to companies like Tesla, they’re the hottest thing on the market in 2016. Tesla CEO Elon Musk wants to see a similar transformation happen to solar, and at a special event in Los Angeles, he explained how. 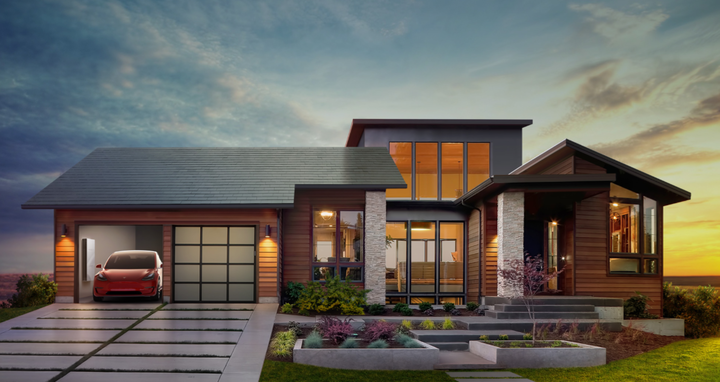 As part of a joint collaboration between Tesla and SolarCity, Tesla unveiled a new solar roof design that Musk claimed will be cheaper, more durable, and better insulating than a normal roof, while also looking better and transforming the home it sits atop. “Why would you buy anything else?” Musk asked. Tesla is currently attempting to acquire SolarCity and shareholders of both companies will vote on the acquisition in November, so concrete pricing and availability info wasn’t discussed at the event. Musk did reveal that the tiles would be made from textured glass with integrated solar cells though, and while they are transparent to the sun, they appear opaque at an angle and look almost identical to a standard roof from the ground. A number of different versions are planned, including Textured Glass Tile, Slate Glass Tile, Tuscan Glass Tile, and Smooth Glass Tile. Musk provided no details on pricing or availability, unfortunately.